Heeft u een vraag voor Agzam Resort and Spa Kama-Loka Spa? Agzam Resort and Spa Kama-Loka Spa in Binnenstad, Kalibo is een populaire keuze onder reizigers. Op slechts 4.6 km afstand, kan dit 3-sterren hotel eenvoudig worden bereikt vanaf het vliegveld. Dankzij de praktische locatie liggen alle belangrijke trekpleisters in de buurt van het hotel. Het Agzam Resort and Spa Kama-Loka Spa biedt een onberispelijke service en alle essentiële voorzieningen om reizigers een plezierig verblijf te bieden. De topfaciliteiten van het hotel omvatten gratis wi-fi in alle kamers, bagageopslag, wi-fi in openbare ruimtes, roomservice, familiekamer. De ambiance van het Agzam Resort and Spa Kama-Loka Spa weerspiegelt zich in de inrichting van de kamers. internet (draadloos), draadloos internet (gratis), rookvrije kamers, airconditioning, bureau zijn slechts enkele van de faciliteiten die u ter beschikking staan. De complete lijst met recreatiemogelijkheden is beschikbaar in het hotel, inclusief sauna, zwembad (buiten), wellnessfaciliteiten, massage, zwembad (voor kinderen). Ontdek een boeiende mix van professionele dienstverlening en een breed scala aan faciliteiten in het Agzam Resort and Spa Kama-Loka Spa. Geweldig hotel! Prijs/kwaliteitverhouding is top! Fantastisch 25 m zwembad met nypas er omheen. Heel gezellig. Grote 2 pers. kamer met overal horramen. Fantastische spa met goed opgeleid en gekwalificeerd personeel ; ik heb de beste massage ooit daar mogen ontvangen. Als prof. Masseur kan ik dit beamen. We zijn 3 nachten gebleven. Our stay here was good and the foods were ok. We rented large 65sqm Family room and everything was value for money. We were a little confused that we could use the pool but we were not allowed to sit beside the pool as the seats and tables were allocated to day users. If we wanted to locate beside the pool then we could only go to the very far end. I honestly thought that priority would be given to residents ! The owner is strict and not very friendly - Not good. This deterred us from using the pool after all and we left disappointed. Close to city and airport, nice outdoor area and pool. Rooms r dated but ok.
Hotel is quite far from the airport, we were the only guests in hole hotel. Staff is very friendly, they cooked us food in the night, when kitchen was closed. Room smelled littlebit for damp. Food was very good. Around the hotel nowhere to go. I stayed in Agzam for a few days and I felt so relaxed. The swimming pool and the little huts beside are so nice I would my breakfast served three by the poolside every day. 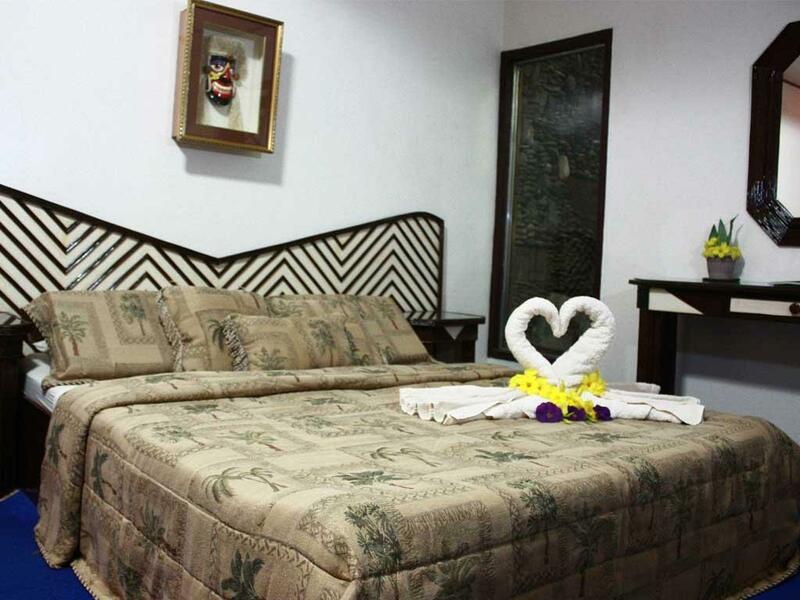 The staff are all very nice and the whole place is so clean with well-maintained gardens. Pool, owners and design of place. I highly recommend staying in Agzam, their owner was very friendly. They toured us to their property which has a ktv bar and a very cozy Thai inspired spa. We stayed in their VIP family room, which is big enough for 3 adults and 3 kids, The room design and hotel design was lovely. The kids also enjoyed the clean pool and BACon breakfast. 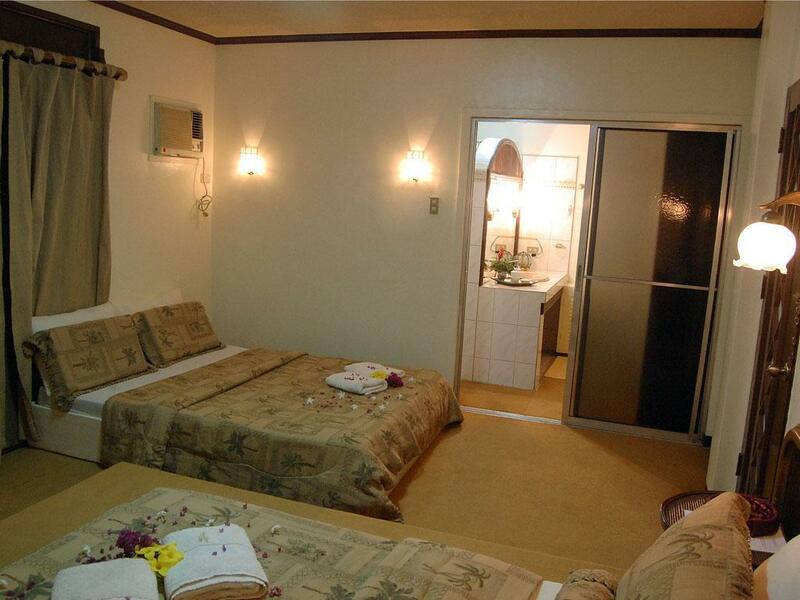 We arrived at Kalibo at night, so we needed a place to stay before we traveled for Caticlan the next day. Agzam Resort was just the sort of place we needed. The pool was very relaxing, and the restaurant food was surprisingly superb. The staff were very courteous and accomodating, while the family room was very spacious. 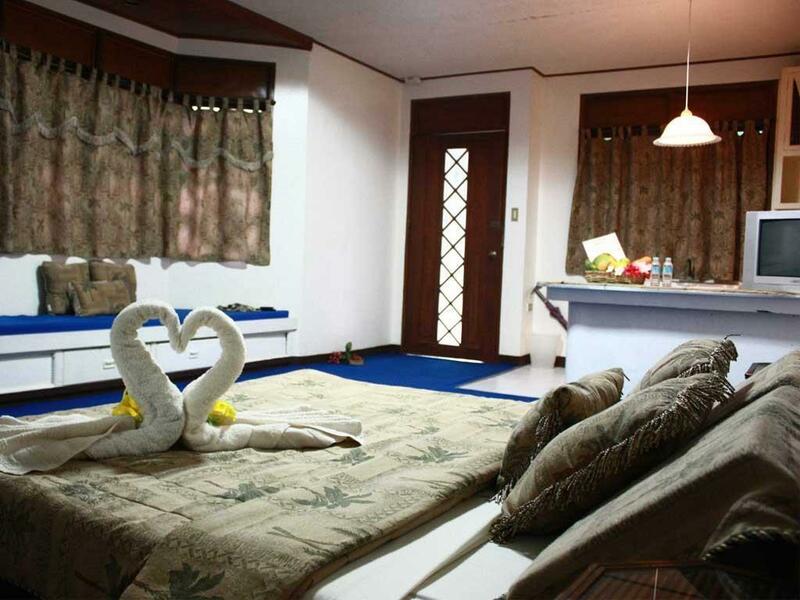 All in all a relaxing place to stay before going to the Boracay beaches. very bad hotel, dirty, lots of mosquitos. Staff were fantastic and the highlight of the place! Great pool area however it doubles as the local pool and can get quite busy especially when lessons are on. The rooms are old and smelt kind of musty. Shower was hot and had reasonable water pressure. Bed was okay. Air con in room. Wifi only works in conmon areas. Restaurant only had half the menu available but the food we did have was quite good quality and at a great price. Its a bit out of town. We used this as a stop over and for that, at the price was more than adequate but Im not sure I would want to stay much longer. It was the worst resort which I experienced. They requested additional charge for additional towel after swimming and said that there was no hairdryer in the resort. And toilet bowl in the room was broken down and there was bad smell from the bathroom. Never recommend the resort to others. We stayed here because it had a pool. The pool was great, very big and very clean. The hotel itself is fine for a one night stopover in kalibo, however it's about 25 mins by tricycle to the airport and there is nothing around the hotel within walking distance.....so I suggest going out for food. We ordered food and it came to our room which was great however the food took just over one hour to arrive and when it did....lets just say it wasn't worth the wait.....very poor and we aren't fussy eaters....have travelled all around Asia and this was bad. We even had lunch around the pool had a tuna sandwich and chicken sandwich....they were more like mayonnaise sandwiches. Literally hardly any actual meat at all! And they were TINY! Also the chips were disgusting! The staff were great, very helpful and the room was large and comfortable enough for one night. However it is very dated. Overall verdict......if you have a day and night in kalibo then stay here coz the pool is great to have and I don't think there's another one in kalibo! If you arrive late and just need a bed before moving on in the morning stay closer to the city/airport. The only real good thing about this place is the pool area. Because of this it is frequently visited by non guests who do nothing but cause havic. It should have been obvious to me the quality if the hotel when we realised we were the only ones there. Room was very old, outdated, little dirty, and no facilities. Had kitchenette which could have been a great feature but no refrigerator, coffee tea facilities, or anything in it but a non working corroded sink. Linen on bed was outdated and smelled old and musty. Room layout could have potential. Food was average to poor, all Filipino, and was given off pork once. No decent coffee on site. This hotel contains a school for training hotel staff, and I think the focus is in the school and accommodating the students rather than looking after the guests. Staff seemed vague and almost hesitant to be helpful as if it was inconvient to serve you. Massage was good and these facilities seemed good and service was professional. Honestly would stay there again but I guess it was cheap. A very nice place to stay, but not centrally located.